Be it a celebrity or a layman, everyone seeks blessings of the almighty, especially when they are going to start a new chapter in life. 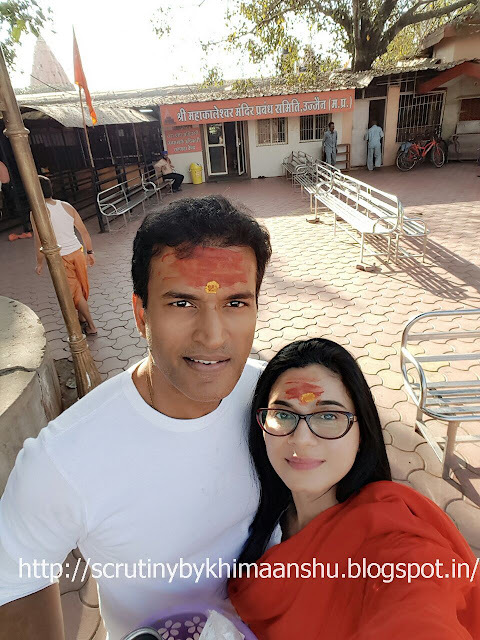 Similarly, the popular and gorgeous actress Tasneem sheikh, who is all geared up to restart her career back in the television industry went on a spiritual journey. The immensely talented Tassnim Sheikh who will be making a comeback on small screen after a long hiatus of nine years with &TV’s Ek Vivaah Aisa Bhi, visited the magnificent and magnanimous Mahakaleshwar temple in Ujjain. With her husband in tow, the actress offered prayers to Shivlinga and bowed down before the almighty to seek blessings for her upcoming show. Ek Vivah Aisa Bhi depicts the tale of the story of a young Suman Parmar (Sonali Nikam), who due to circumstances gets married and lives with two mothers-in-law under the same roof. The show also features Himani Shivpuri, Abhishek Malik, Rupin Pahwa and Sonali Nikam in pivotal roles.